Specialist therapists and consultants deliver individually tailored rehabilitation programmes nationwide for clients with both minor and complex disabilities. Professionals (individuals and companies) that can assess the needs of people with complex injuries and support their care and rehabilitation with a range of therapies. Established private neuro-sensory paediatric occupational therapy team operating across the UK with children from birth to 24 years. Assess, treat, recommend equipment, advise on technology and environmental controls as well as recommend modifications at the child's home, school or community in order to promote quality of life and independence. A leading speech and language therapy company offering service and therapists around the UK. Nationwide neurological occupational therapy consultancy and vocational rehabilitation service specialising in clients with brain injury and neurological diagnosis. Comprehensive psychological and neuropsychological assessments of adults for a wide range of presenting problems. On of the UK's leading providers of hands-on neurological physiotherapy and rehabilitation technology, PhysioFunction works with clients on a one to one basis in a growing number of clinics across the UK or in their own homes to help people maximise their independence in everyday life. Physiotherapy, occupational therapy, neurological rehabilitation. Provide expert, high quality and effective community neuropsychological rehabilitation to children, young people and their families, integrating neuroscience innovations with evidence from developmental neuropsychology. A group of private clinics for children aged 0 – 18 years old; a team of multi-disciplinary therapists work closely together and pool their expertise. Therapies include speech and language, clinical psychology, occupational therapy, autism support, creative and talking therapies. ATtherapy are an expert team of speech and language therapists working with people with brain injury, providing bespoke assessment and therapy for adults and children. Our core services include medico legal work, AAC, assistive technology, dysphagia, and social communication. Multi-disciplinary team offering a wide range of surgical, medical and therapeutic rehabilitation to patients recovering from serious injury or negligence. We assist law firms, insurance and case management companies seeking medical experts for their clients recovering from serious injury or negligence. Experienced in providing a bespoke speech and language therapy service to adults and children with neurological communication and/or swallowing difficulties following brain injury or birth trauma, including the use of assistive technology, family/support worker training and medico-legal reports. Community-based neuro rehabilitation suitable for brain injury, stroke, balance problems etc. Physiotherapy. Wakefield. Specialist physiotherapy service for adults and children with neurological conditions and for more general rehabilitation needs. Operating in and around Yorkshire and the West and East Midlands. Specialist physiotherapy service for adults and children with neurological conditions and for more general rehabilitation needs. Operating in and around the West Midlands, East Midlands and South Yorkshire. A team of private speech and language therapists specialising in the assessment and treatment of children and adults with neurological conditions. Also provide bespoke services to nursing homes, rehabilitation facilities and schools. Services provided in Birmingham, Solihill, Warwickshire and the West Midlands. Specialist physiotherapy service for adults and children with neurological conditions and for more general rehabilitation needs. Operating in and around the East Midlands, West Midlands and South Yorkshire. Physiocare specialises in the assessment, treatment and rehabilitation of complex neurological and vestibular conditions, with extensive experience in the rehabilitation of brain injury, concussion and vestibular disorders and working in the field of medico-legal rehabilitation. Need free help or advice, please contact us. Psychiatric treatment. Consulting in South Essex and London. Speech and language therapy. London and Buckinghamshire. Occupational therapy including advice on equipment and home adaptations. Neurolink Psychology provides specialised clinical neuropsychology services for people coping with life after a brain injury. We provide psychological assessment and interventions for adults, children, families and professionals, as well as training and consultancy. We ensure our clients receive a bespoke and personal service to achieve their outcomes in a timely and cost-effective manner. 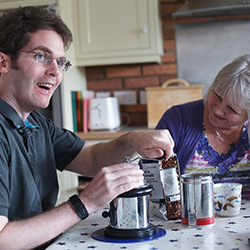 Speech and Language Therapy London Ltd offer assessment, advice and therapy to adults with communication and swallowing difficulties following brain injury.